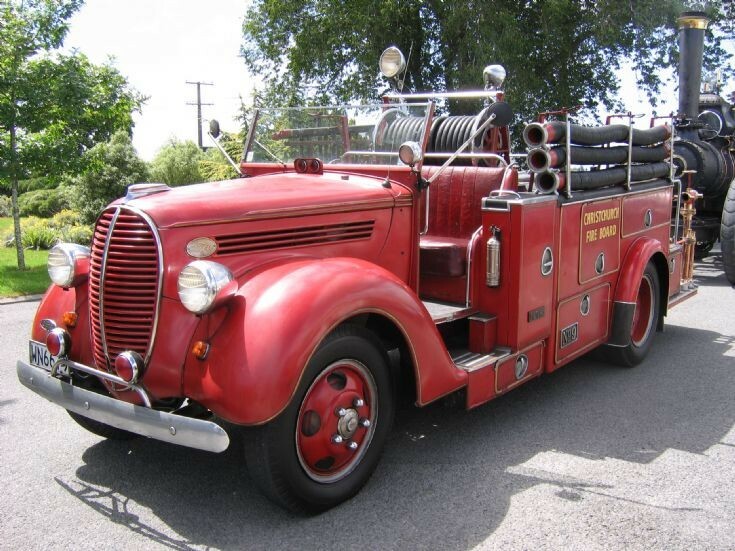 This 1940 Colonial Motor Company V8 served Christchurch & New Brighton & is now privately owned. Another Kiwi American Ford displaying design elements from both American and British traditions. The side hung ladder and suction hoses were very American, and so was the fact that the crew had standing room only on the rear step. But the rear mounted pump and the full width body crammed with small lockers were more typical of British pumps.